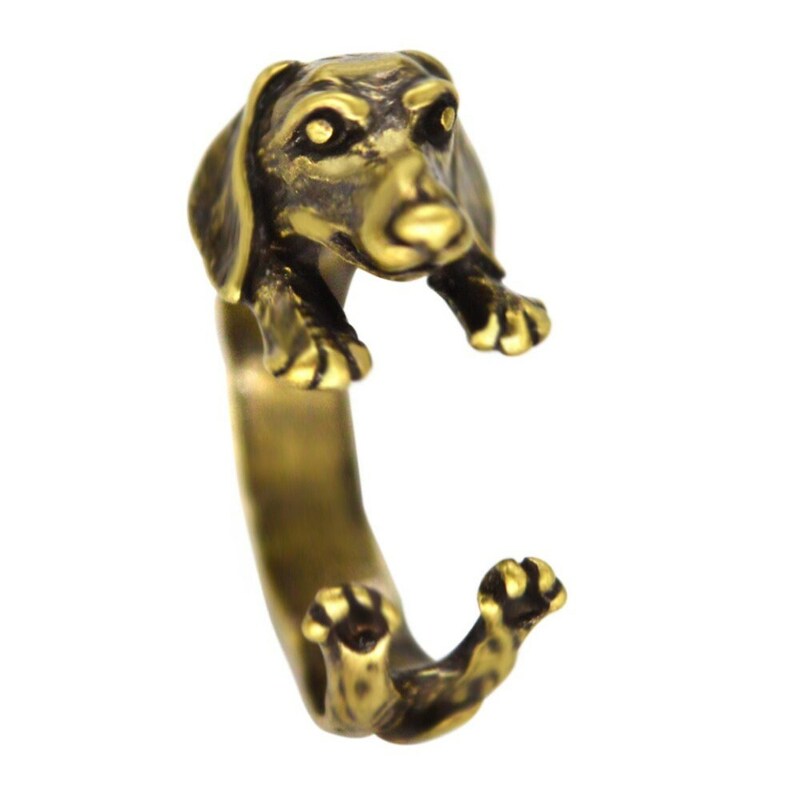 Daschund dog Bronze Adjustable Ring. 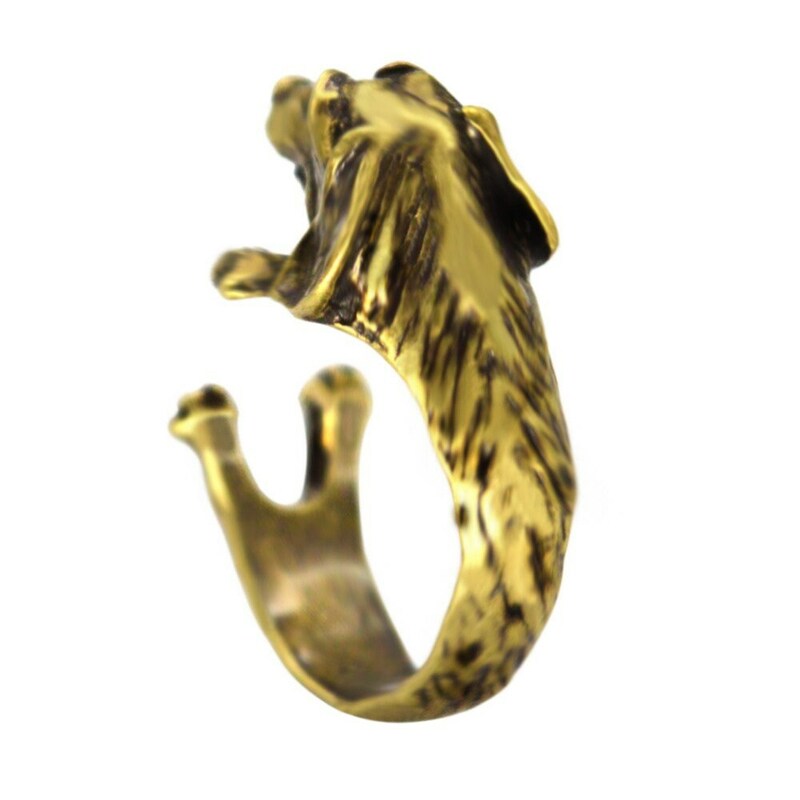 Choose which finger to put it on and gently bend to fit. Size ranges 4 - 8.